Respirator Fit Testing required for any worker who is required to use a tight-fitting respirator. 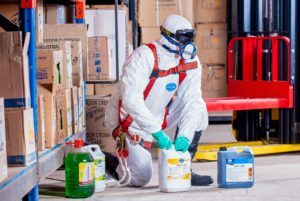 The federal Occupational Safety and Health Administration – also called “OSHA” – and State OSHA Agencies require employers to fit test workers who must wear these respirators on the job. The first step in the Respirator Fit Testing process is to perform a Pulmonary Function Test. 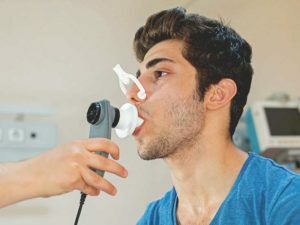 Pulmonary function testing is a broad range of tests that measure how well the lungs take in and exhale air and how efficiently they transfer oxygen into the blood. At Interstate Mobile Care we provide Pulmonary Function Testing as part of our Respiratory Fit Testing that is fully compliant with OSHA standards 29CF 1910.134. For more information on Respirator Fit Testing Requirements you can visit the OSHA Web Site.